For those who work in environmental monitoring, we have a new partner that you might like to take a look at. Fondriest Environmental is an outstanding company that provides products and services for a large variety of soil, water, and weather environmental monitoring applications. They carry several Juniper Systems handhelds including the Archer 2™, Mesa® Rugged Notepad, and Allegro MX™, all of which are compatible with Fondriest’s wide array of environmental monitoring sensors. Located in the Lower Great Lakes and Ohio River Valley region, Fondriest Environmental offers an incredible amount of experience in the environmental monitoring sector. They specialize in designing and implementing real-time monitoring systems with data transmission via cellular, radio, landline phone, and satellite telemetry, as well as online data transfer. What we really like about Fondriest Environmental is that they strive to provide the utmost quality, just like we do at Juniper Systems. We also share the same goal of understanding and meeting our customers’ needs, and then offering long-term support for whatever needs may arise. 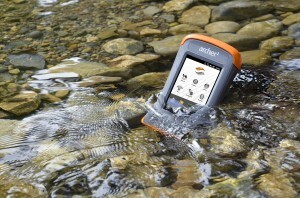 Fondriest Environmental selected Juniper Systems rugged handhelds because of their high quality and reliability. Because the handhelds are designed to military standards and rated IP67/IP68 for dust and water, they can easily handle the extreme conditions that exist in the soil, water, and weather industries. Specifically, the new Archer 2 offers environmental customers unparalleled display brightness—which comes in handy for those outdoor monitoring applications, an extra-long battery life of 20+ hours, and enhanced GNSS performance in challenging terrain. We’re excited to pair up with Fondriest Environmental to provide quality equipment for environmental monitoring applications. You can request a demo from Fondriest by calling 888.426.2151.